• Submit a copy of Purchase Order of the Overseas Buyer. • Fund our bank account with the invoice amount Plus security amount for Customs Duty through RTGS/NEFT/bank transfer. • Export jewellery made out of this gold, with admissible value addition, within 90 days from the date of taking gold delivery. • Submit E.P copy of Shipping Bill, Customs attested Invoice) to us within 7 days from the date of export (otherwise, we have to pay customs duty by encashing security). • Submit Bank Realisation Certificate (BRC) within credit term (Maximum 270 days from the date of export) and get refund of security for customs duty. is to be fixed within 11 days. It is a facility under which you may take delivery of duty free gold on loan basis for jewellery exports against security of Bank Guarantee/Cash Margin for 110% of notional value of gold . • Submit Bank Guarantee for 110% of notional value of gold. • Take delivery of gold through your authorised person from our logistic agent. • Pay interest on metal loan on/ before the last day of every month. 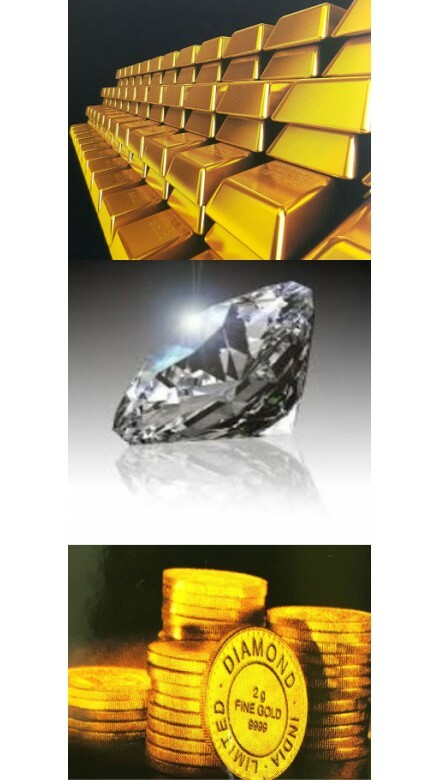 • Export jewellery made out of this gold within 90 days from the date of delivery. • Submit Proof of Export (i.e. Export Promotion copy of Shipping Bill and Customs attested Invoice) within 7 days from the date of export (otherwise, we have to pay customs duty by encashing security). • Submit Bank Realisation Certificate (BRC) within credit term (Maximum 270 daysfrom the date of export) and get refund of security of customs duty. You should monitor gold price to maintain margin at 110% at all times and top up margin when it falls below 110%.We may also give you the Margin Call. You should top up the margin within 24 hours of our margin call failing which the metal shall be priced out. Under these schemes, you may take delivery of duty free gold after export of jewellery. In other words, it is 'replenishment' of your own gold used in thejewellery exported. • Fix gold price with us for the quantity of jewellery to be exported,plus admissible wastage, against payment of 20% cash margin. • Export jewellery within 120 days of booking/price fixing. • Take delivery of gold within 150 days of booking or 30 days of export, whichever is later, on payment of balance 80% plus interest at agreed rate. • Submit EP copy, Customs attested Invoice & Bank Realisation Certificate (BRC) within credit term. It is a facility under which you may export jewellery on the basis of a Notional Rate Certificate and book gold after export of jewellery Obtain NRC from us. • Export jewellery within 7 days from date of NRC. • Submit EP copy, Provisional Customs attested Invoice. • Fix price with us within credit terms or 180 days whichever is earlier. • Gold to be booked/priced for exported quantity (Metal content plus admissible wastage) only and same gold rate will be charged to the foreign buyer. • Obtain a Purchase Certificate/Invoice. • Submit Final Customs Invoice as per the rate fixed with us. • Realize proceeds as per final invoice within credit terms or 180 days,whichever is earlier. • Submit BRC & take delivery of gold on payment of balance 80% plus interest at agreed rate. It is a facility under which you may take delivery of duty free gold after sale of jewellery in exhibitions held abroad. • Submit approval of GJEPC for exhibition. • Submit EP copy of Shipping Bill,Customs attested Invoice for the jewellery exported. • Submit EP copy of Shipping Bill and Customs attested invoice for unsold jewellery re-imported. • Submit Appendix 4.0, duly certified by GJEPC. • Purchase gold from us for the eligible quantity within 120 days of the close of exhibition. • Submit BRC to us within 180 days.